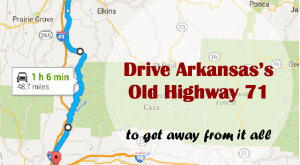 One of the best things about Arkansas is that the drive to a destination is just as treasured as the actual attraction. 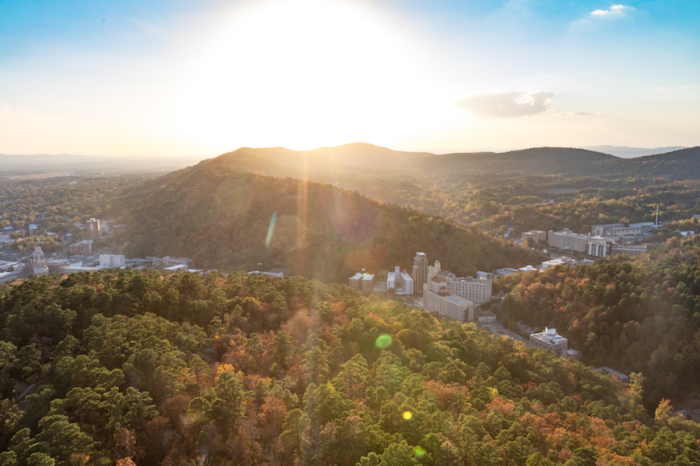 We’re a state of folks that don’t mind skipping interstates in favor of foliage, look-out points, or off-the-beaten-path attractions. 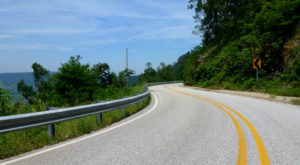 Although the state is full of pretty drives, one of the most scenic is Byway 7. The highway was actually the state’s first designated scenic byway in 1993. After driving on any of its 290 miles, it’s easy to understand why it was chosen as the first. Let’s pack our bags, turn on the tunes, and see what iconic stops we come across on our Byway 7 journey. 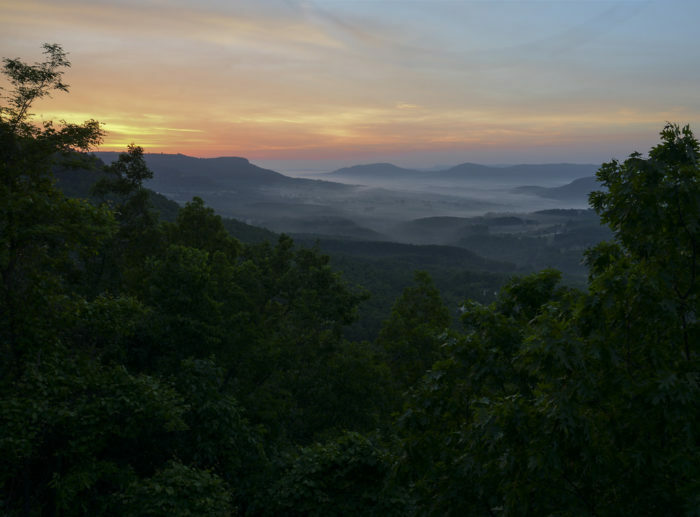 The Arkansas Scenic 7 Byway is the perfect sampler of the state's different regions. 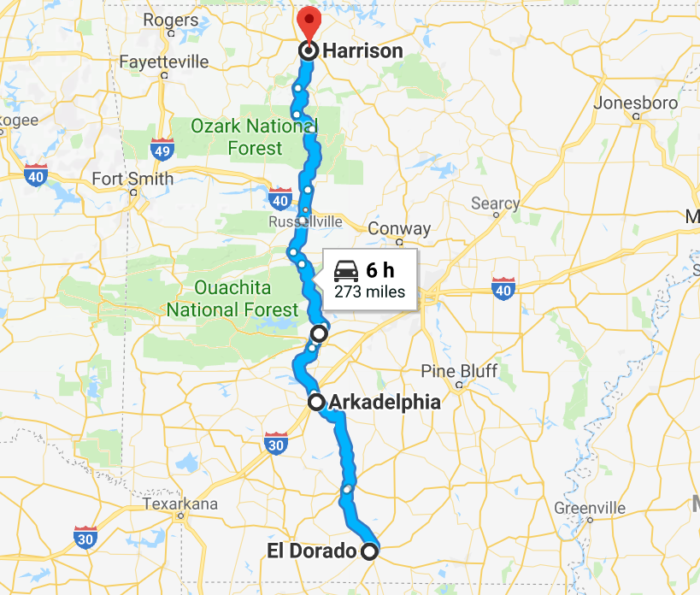 For our drive today, we'll begin in the bottomland hardwood forests of the coastal plain region, then head north through the Ouachita Mountains, pass through the River Valley, and end in the Ozark Mountains. Our starting city will be El Dorado. After touring El Dorado's downtown square and packing plenty of snacks for the road, our first stop will be the local state park. The South Arkansas Arboretum State Park is the perfect place to set the relaxing mood for our winding journey. Breathe in the fresh flora native to the West Gulf Coastal Plain and warm up your camera with some macro flower shots. 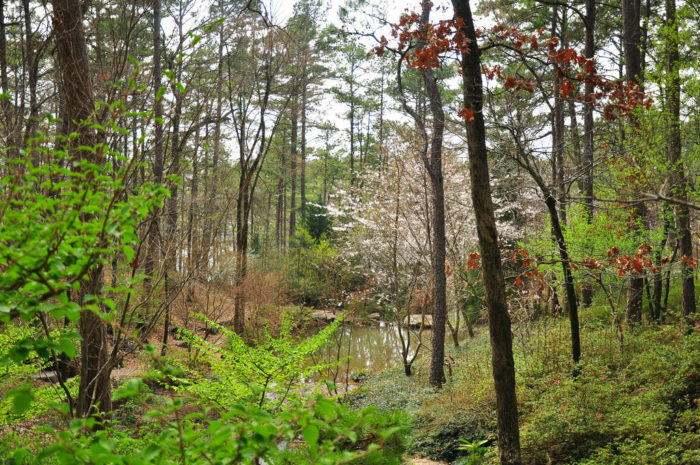 The South Arkansas Arboretum State Park is located at 1506 Mt Holly Rd. in El Dorado. Possible the most iconic stop of our drive is the oldest restaurant in the state. White House Cafe originally built in 1907 by Greece immigrant Hristos Hodjopulas. For more than 110 years the cafe has been earning awards and customer loyalty for their mouthwatering burgers and rib-eye steaks. Let's grab an early lunch before we head to the Ouachitas. Depending on how long you want to stretch this drive, Lake DeGray can either be a day or two excursion or simply another drive-by view. 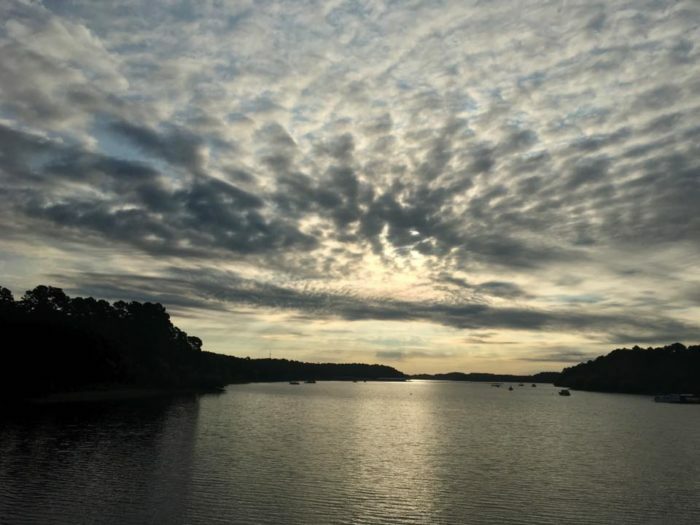 This is the only resort state park in the state so it's easy to find yourself suddenly renting water toys at the marina or swinging clubs at their 18-hole championship-rated golf course. 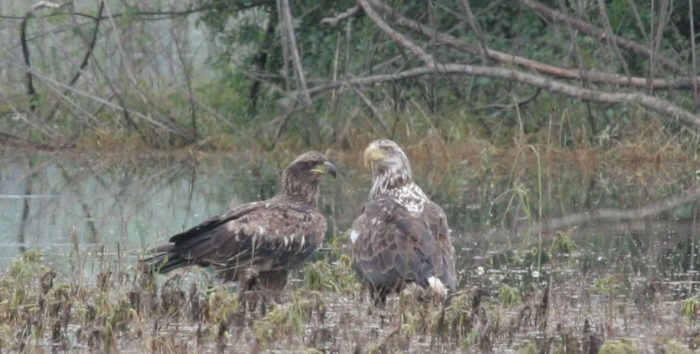 How about we settle for a leg-stretching hike along the Green Heron Trail, we may even spot an eagle or two! Byway 7 just so happens to drive right through the historic district of Hot Springs. 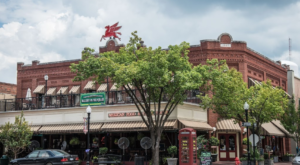 Central Avenue is filled with interesting stops that could easily take up a day of exploring. At the very least, let's fill up our water bottles from one of their fresh spring fountains and get some food. 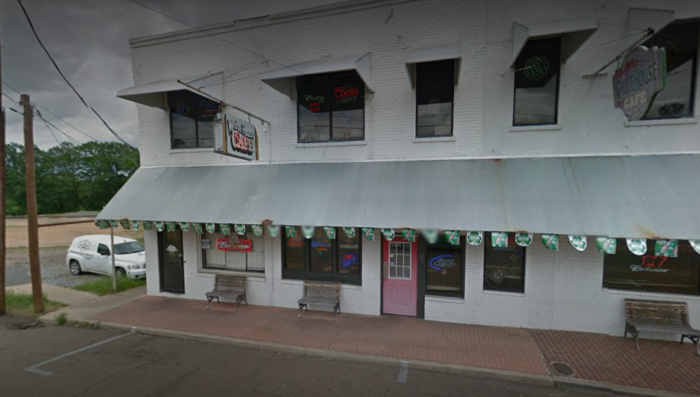 We might as well dine in style at Arkansas' oldest bar. The Ohio Club opened in 1905 and has attracted all sorts of interesting people from baseball stars to gangsters to famous musicians. I think I'll have a Reuben sandwich, no make that an Ohio Harvest salad, or well how about their famous Big Al Burger? It's hard to go wrong with whatever you choose. If you’d like to know more of the club’s history, read our full article right here. 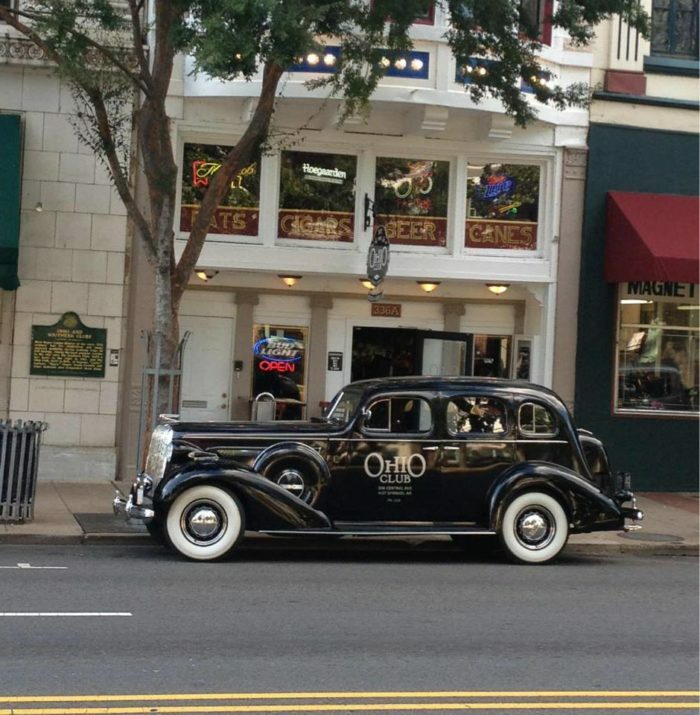 The Ohio Club is located at 336 Central Ave. in Hot Springs. 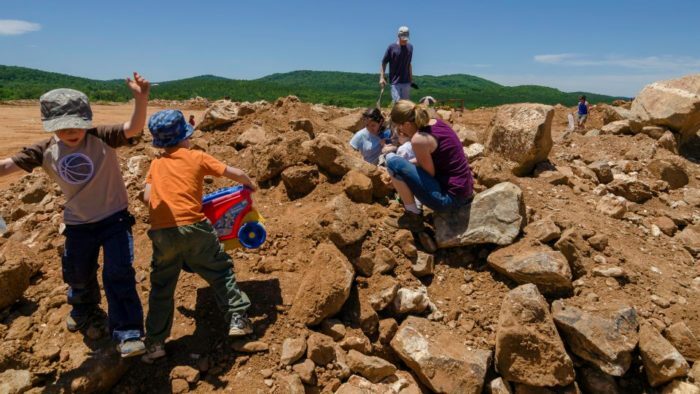 You probably already knew about digging for diamonds, but did you know Arkansas is also the quartz capital of the world? One place we'll come across is Ron Coleman Mining as we drive through Jessieville. Keep any quartz or crystal you dig up at their public mine. After some enjoyable hard work, we can cool down in the car and drive through some of the prettiest forest in the state. Ron Coleman Mining is located at 211 Crystal Ridge Ln. in Jessieville. This is the perfect part of our journey to have the windows rolled down (weather permitting) and just take in the trees. 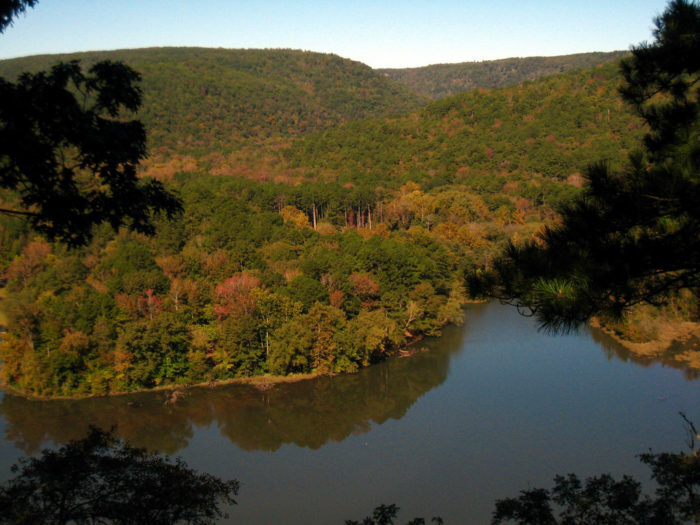 The Ouachita National Forest celebrated its 110th birthday this past December and has aged quite gracefully. Take advantage of the pull-off points alongside the highway so our driver can fully appreciate the view, too. As we come to the edge of the Ouachita Forests we'll pass Lake Nimrod. 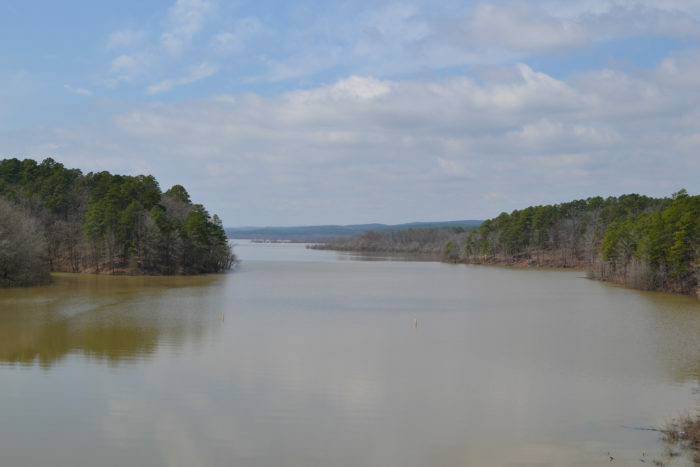 It's the oldest lake created by the U.S. Army Corps of Engineers, finished shortly after Fourche LaFave River dam in 1942. If we have time let's take advantage of this prime fishing spot before we get to our next naturally beautiful stop. Not too far out of our way is the Holla Bend National Wildlife Refuge. 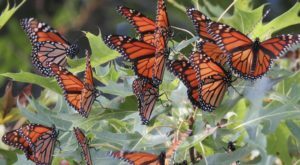 It's an absolute must stop for anyone wanting to spot some natural wildlife from eagles to even bobcats. 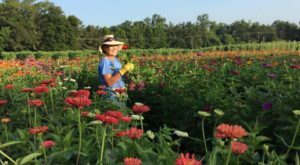 The 7, 000 acres of farmland and bottomland hardwoods protect migratory birds as well as provides regulated hunting grounds for wildlife management. Animal lovers of all walks can appreciate the refuge. Holla Bend National Wildlife Refuge is located at 10448 Holla Bend Rd. in Dardanelle. It's impossible not to pull over at some point during the drive through part of the 1.2 million acre forest. As we drive from Sand Gap to Jasper, know that you can spend weeks exploring the nearby trails, waterfalls, and outdoor activities. We'll keep quiet in the backseat and try not to point out every single thing. Not too far off of Highway 7 is one of the most unique geological formations in the Ozarks. 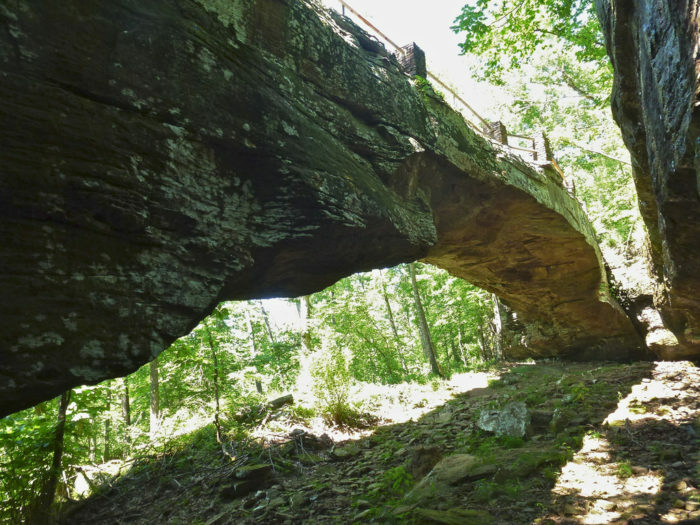 The weathered remains of what was once a quartz sandstone cave is now a 130-foot arch. Take a break from driving with a picnic or the Alum Cove Trail. Besides the arch, the trail also passes a gorgeous waterfall. 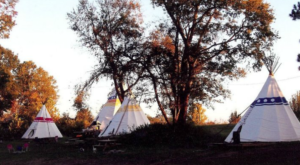 From our Byway 7, take Highway 16 then turn right onto CR# 28 to reach the Alum Cove Area. Right before we reach the tiny town of Jasper we'll come across a must-stop, the Arkansas Grand Canyon. Let's pull over and take in the vastness of Big Creek Valley. If you're hungry we can stop at the Cliff House Inn for a slice of pie. Cliff House Inn and the Arkansas Grand Canyon are located at 6 AR-7 in Jasper. This will be our last big stop before our end point of Harrison. In a way, we've saved the best for last since Jasper is the best tiny town in the state. If you’d like to know all of Jasper’s hot spots, read our full article right here. Well friends, we've reached the end of our drive (or week-long vacation depending on how many adventures you decided to have). Hopefully, we can catch a show at The Lyric Theatre in Harrison. The theatre was originally built in 1929 for the "talkies" taking over the silent film industry. 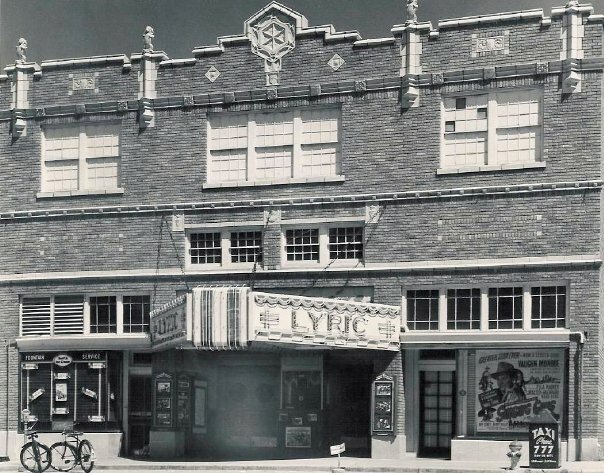 The Lyric Theatre has been restored by the Ozark Arts Council to preserve the historic landmark. To see what’s playing tonight, check their webpage right here. 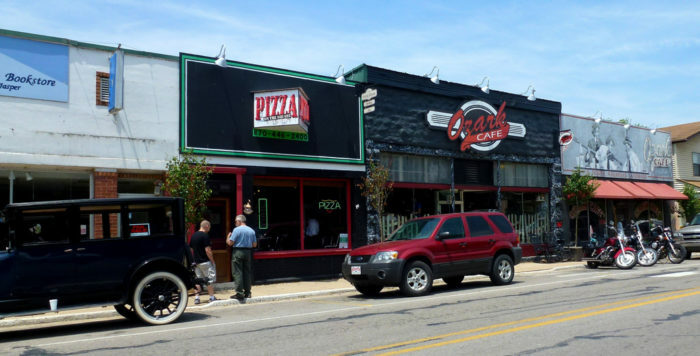 The Lyric Theatre is located at 115 W Rush Ave. in Harrison. 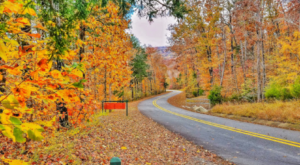 No matter which direction you drive or how many stops you take, the Scenic Byway 7 is a beautiful road to take for your next Arkansas adventure. By no means did we cover all the neat stops along the way! What’s your favorite spot along Byway 7? Share with us in the comments below! Since we didn’t venture into the Delta region of the state, you should plan to take this Delta restaurant road trip next.